Bursting with every color of the rainbow, the Palomino Artist Color Pencils in a set of 24 is the next step up for professional artists, casual doodlers, and everyday art journalers alike. 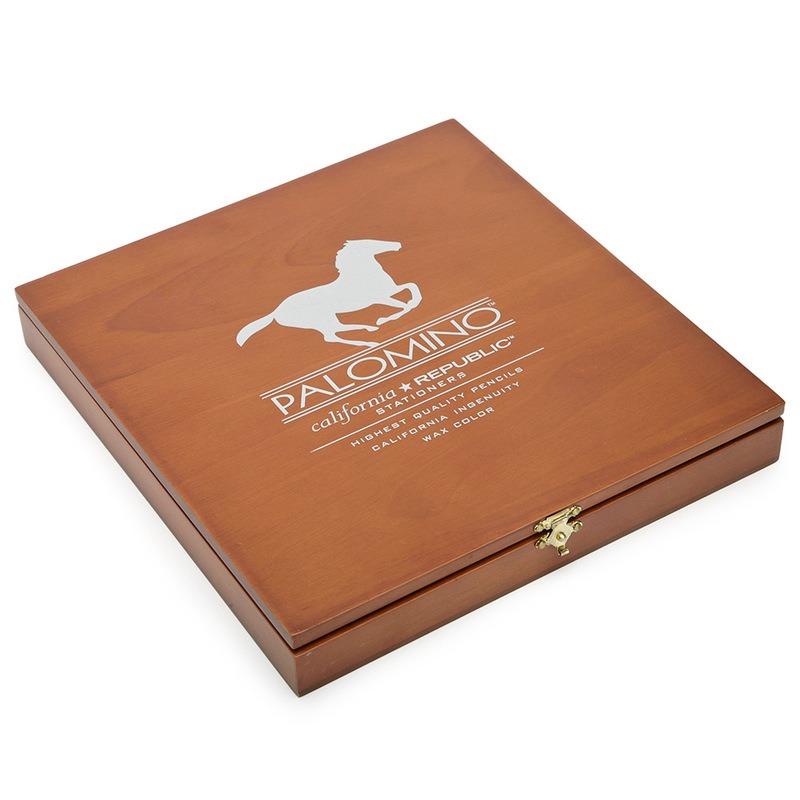 The only color pencils to carry the Palomino label, Palomino Artist Colored Pencils are artist-quality wax color pencils made out of genuine incense-cedar wood. With 24 vividly different Palomino colored pencils, the color selection is wide-ranging enough for artists in a professional capacity, or as the perfect gift to that burgeoning artist in your life. Art journalers will also be pleased with the selection and the beautiful wood box with clasp it all comes in. 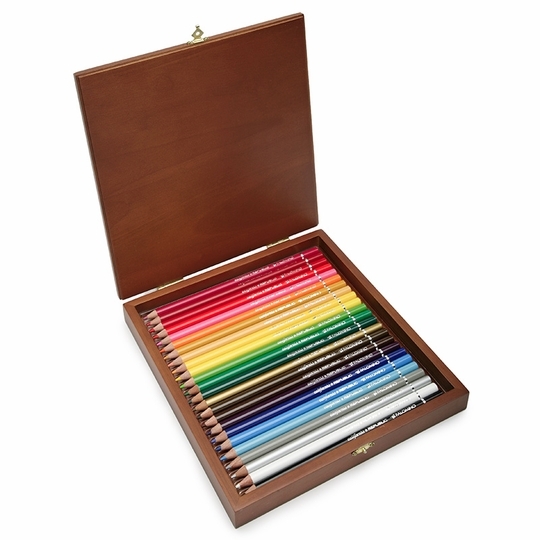 Take the Palomino Artist Color Pencils Wood Box Set with you to class, work, or home. Never leave color behind!